Online slots are everyone’s favourite game, but let’s not kid ourselves, when we spin the reels, we’re all dreaming of that big win. 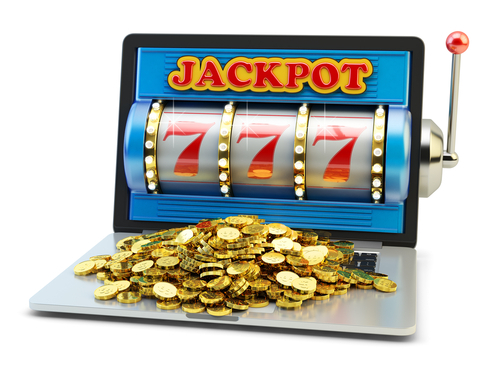 Online slot games payout more frequently than national lotteries, and they’re fun too. It’s those big slot wins that make the online casino news rounds that give us real hope. Every year records are broken and 2017 was no exception. There were some record-breaking wins that capture slot player’s imaginations and keep them coming back for more. Let’s take a look at 2017’s big slot wins from the best slot jackpots. Of course, winning big is the dream, but winning big on a bet €1, that’s the Holy Grail. Paf Casino’s paid out an incredible €3.5 million jackpot in January 2017. Last year a lucky woman from Finland landed the jackpot on the Mega Fortune game with a €1 spin. These jackpots won on a song are the stories that keep players coming back for more. 2017’s €1 win wasn’t quite as big as last year’s win, but it was still enough to change an anonymous European player’s life forever. Once again NetEnt’s iconic Mega Fortune Slot has made dreams come true. We’re seeing more and more wins at mobile casinos which is a clear indicator that the online casino scene has gone mobile. This win was also picked up in January and it was a big one. A tasty €6,078,249.33 jackpot changed a lucky anonymous player’s life on the legendary Mega Moolah slot. The player won at Captain Cooks Casino and further cemented Microgaming’s Mega Moolah slot as an iconic millionaire maker. How unbelievably fitting that a Norwegian player conquered the slot world in June last year, on a Norse themed slot. The €7.5 million jackpot was picked up at Folkeautomaten Casino on the eponymous Hall of Gods slot from NetEnt. The total amount won was a humongous €7,525932.07 and changed this lucky Norwegian player’s life. If you’re a slot fan-you’ll know that Mega Moolah is a record breaker. In 2017, it continued its streak by paying out a €7,742,015.13 at Unibet Casino in October. The amazing thing about Mega Moolah is that it just keeps giving, it appears twice on this list and it has kept its place at the forefront of progressive jackpots for nearly fifteen years. Mega Moolah’s biggest rival is of course, NetEnt’s Mega Fortune progressive slot game. Our fifth biggest win of the year was a €4.4 jackpot won by a German player at Casino Euro in November. The anonymous player was quoted as saying that Mega Fortune isn’t even one of his favourite slot games, we bet it is now. All in all, it’s been a great year for online casino. The industry continues to go from strength to strength and it’s stories like this that continue to capture people’s imagination. Looking to learn more? Check out our casino reviews here!